Lowell Bergman: I did not burn you. I did not give you up to anyone! Jeffrey Wigand: This is my house... In front of my wife, my kids? What business do we have? Lowell Bergman: To straighten something out with you. Right here. Right now. Jeffrey Wigand: So, you didn't mention my name? You haven't talked to anybody about me? Lowell Bergman: Why am I gonna mention your name? Jeffrey Wigand: How did Brown & Williamson know I spoke to you...? Lowell Bergman: How the hell do I know about Brown & Williamson? Jeffrey Wigand: It happened after I talked to you. I do not like coincidences! 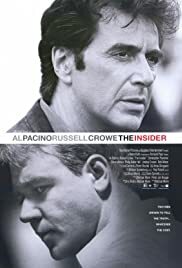 Courtesy of Circa Records, Ltd./Virgin Records America, Inc.
"The Insider" in many ways reflects the golden days of American cinematography, where every scene serves a purpose, dialogue is sharp and poignant, and characters and events remain true to their emotions and nature. The film presents certain questions throughout its duration that are intended to invoke thought in the viewer, and at the same time explores them to unprecedented depths which are by no means native to the film industry. The story is of a quick-paced nature, and demands that the viewer pay the utmost attention to every single line and image presented; it flabbergasts in its unparallelled structure of continuity and coherence to those sentient enough. After watching this film, it became apparent why Crowe was so reluctant to play the role of Maximus in "Gladiator" after acting the part of Jeffrey Wigand. It appears more or less as if Crowe had been this character in reality, and it really inspires to see that such a talented actor is finally beginning to enjoy the prominence that he deserves. 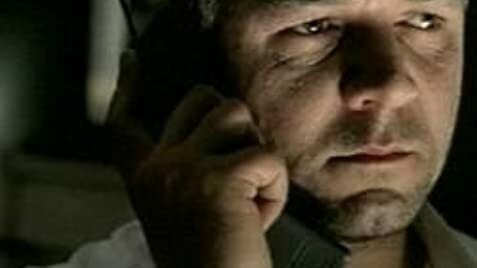 In the past decades, there has been a progressive decline in the number of intelligent films making it onto the market, but the success of "The Insider" will hopefully serve as a shout-out to all the film companies and directors reluctant to tread on such sensitive ground. This movie could not receive a higher recommendation!